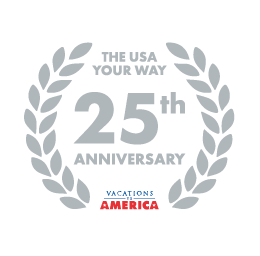 25 years ago we established Vacations To America and today we are proud to offer as well as amazing destinations, a wide range of unique accommodations, travel choices and experiences that are just right for you. Our team of skilled Travel Consultants have the widest and in-depth expertise of America you will ever come across. As always, we will be working hard to offer you a service that is full of personal knowledge, attention to the smallest detail and tailor made for you. From all of us at Vacations to America, we look forward to providing you with a holiday of a lifetime! Get in touch with one of our specialist consultants who have travelled extensively in America and are happy to help plan your perfect trip. We provide a large choice of suggested Road Trips that include our personal favourites, our most popular and a few that show off 'Real America'. We are proud to offer some unique cruises for you to discover America by water. From small ship adventures across rivers and lakes to ocean cruises across the Atlantic and beyond. Go island hopping in Hawaii. Each of the six Hawaiian islands has its own cultural identity. Discover them is on a multi-island vacation. New Hampshire offers visitors the opportunity to explore a varied landscape, rich in the hallmarks of scenic New England.